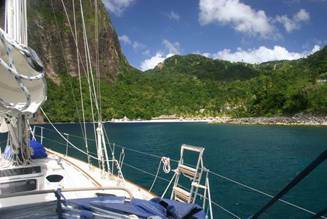 We had a very pleasant sail from Bequia to St Vincent, thankfully not beating for a change and met up with John and Laura of Rainmaker in Walabaloo Bay. 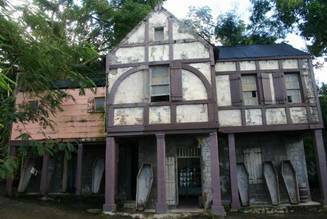 In contrast to last time we really liked it and wandered around the remains of the “Pirates of the Caribbean” film set. 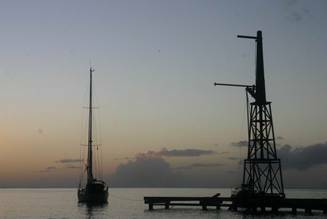 It was then back to St Lucia. 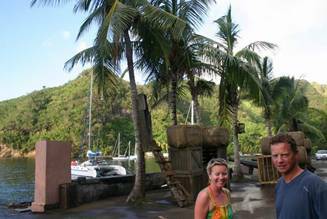 We nearly stopped in the Pitons but were so hassled by boat boys we decided to carry on to Marigot Bay to meet up with Let It Be and Bavarian Spirit. True to form as soon as we arrived the heavens let loose but it did brighten up the next day. 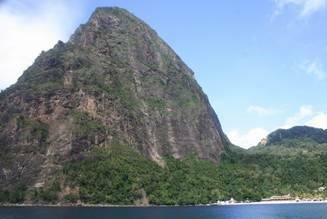 We headed back to the Pitons the next day and managed to moor between the two peaks. The snorkelling was really good so we booked a couple of dives the next day which were also very good. 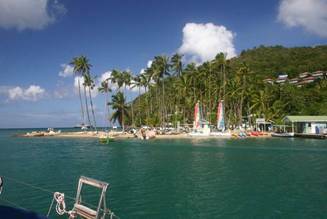 After the diving it rained solidly so we headed back to Rodney Bay. 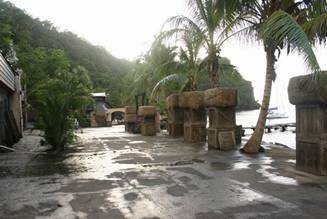 We don’t seem to have much luck with the weather in St Lucia, it always rains. Rodney Bay was full of ARC boats and we met up with some we hadn’t seen for a while and said goodbye to a few who are now off home or to do other things. It has been a great month and the social side of the ARC has far exceeded our expectations but despite a few boats still heading north I feel it will start to quieten down. We are now in Martinique which is lovely, very French and very sunny but we’ll save the details for the next blog or we will never get this sent.